Okay, we admit it: when JLS's first single 'Beat Again' came out, we danced around the studio singing along and making a hash of the dance moves. So thank you to @zoeyhardwick and @shangri_lala on Twitter for tipping us off last night when JB wore our Pegasus Necklace on X Factor. Watch the boys' whole performance. We do love to see guys wearing Tatty Devine. Thanks JB. You look great. 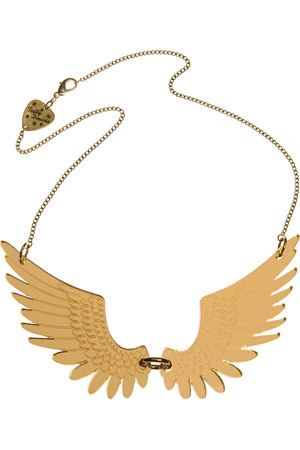 Get JB's necklace here.